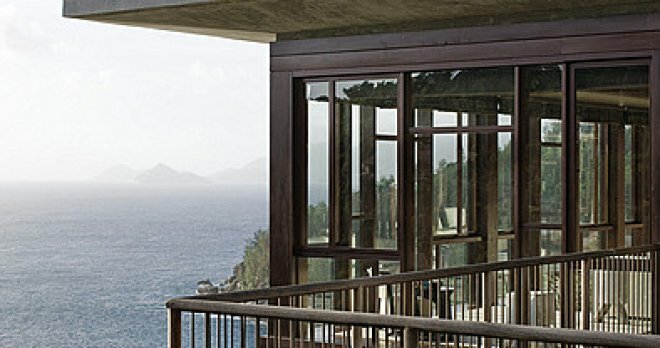 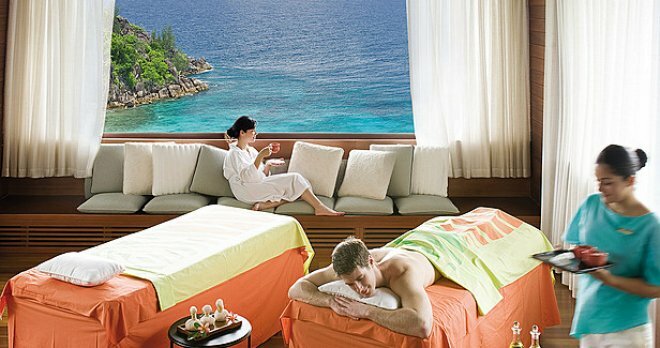 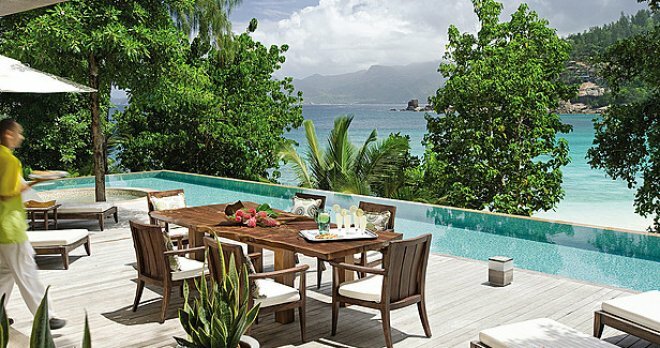 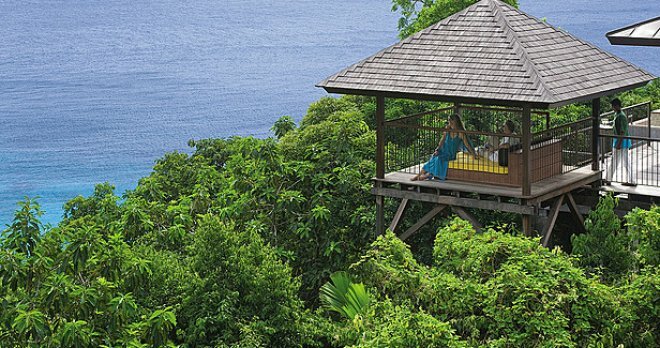 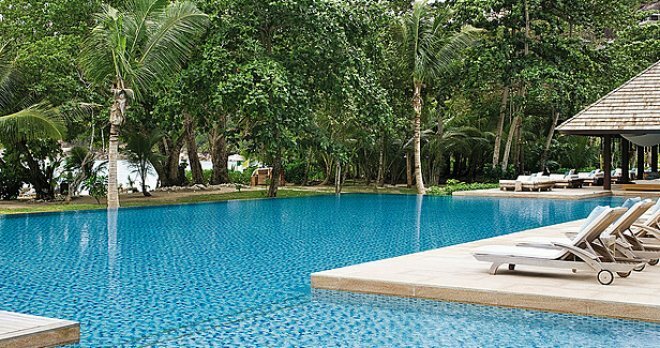 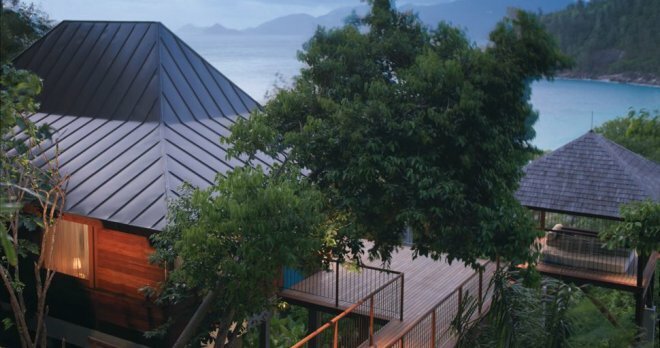 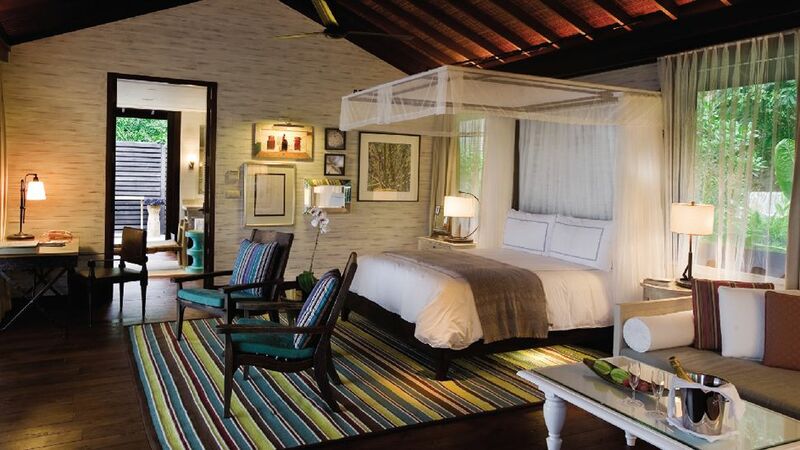 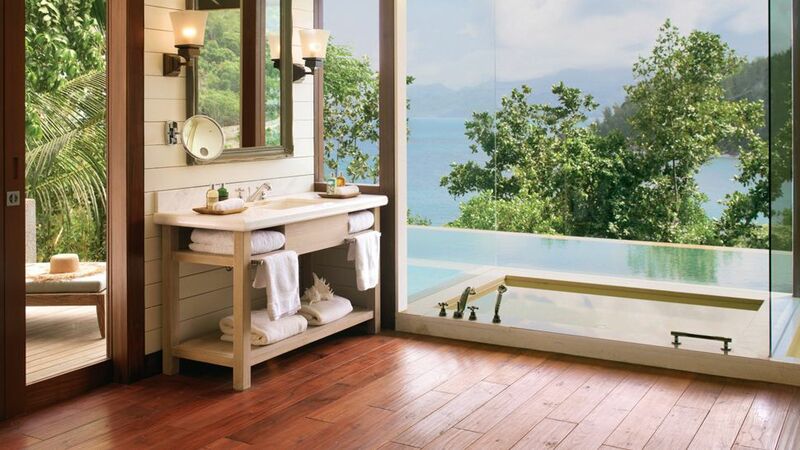 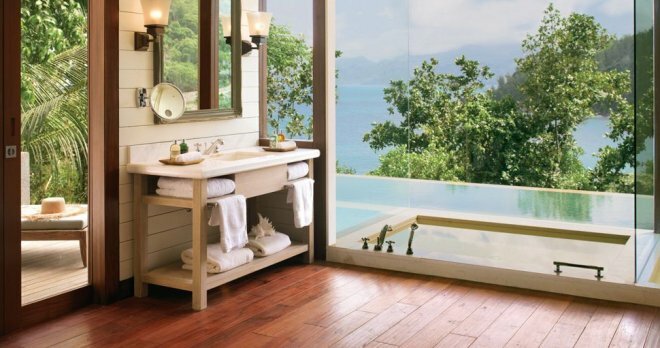 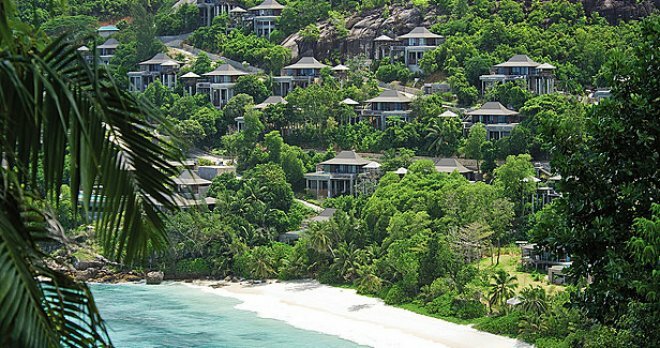 The five-star hotel Four Seasons Resort is located in the south-west of the island of Mahe, 20 km (30 minutes by car) from the island's airport. 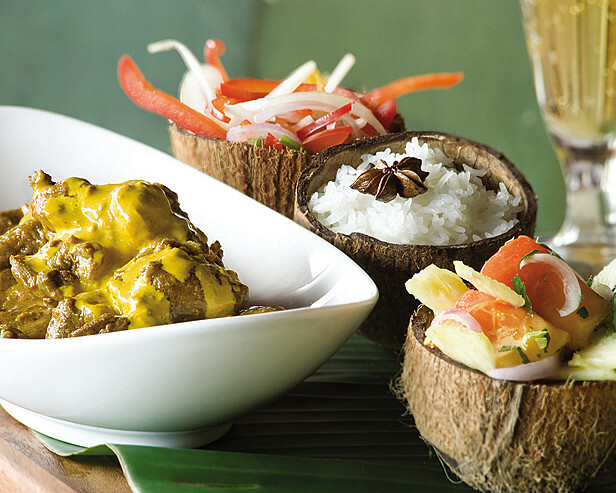 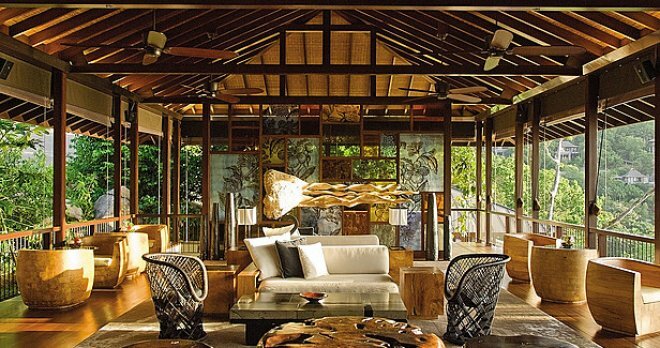 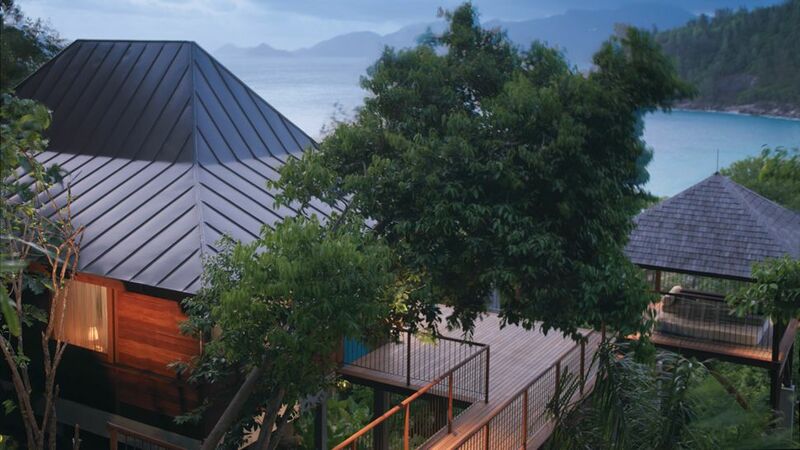 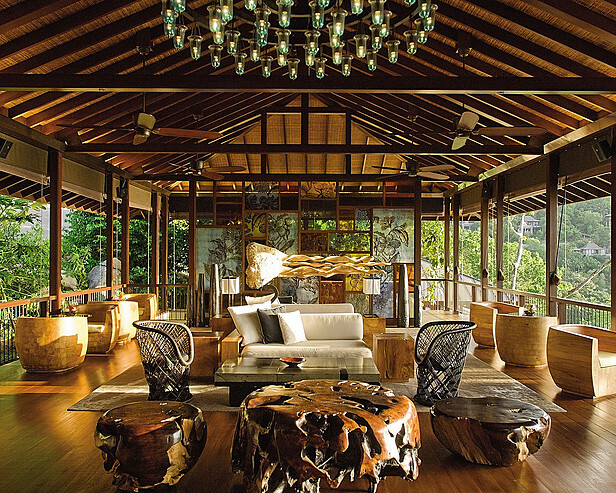 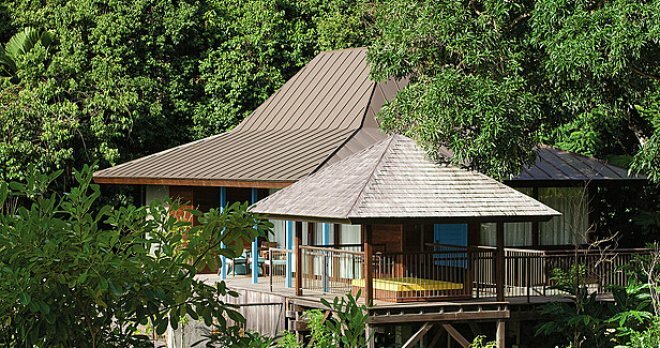 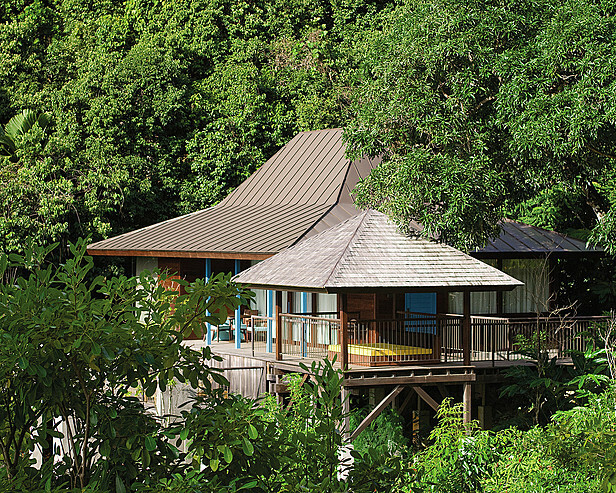 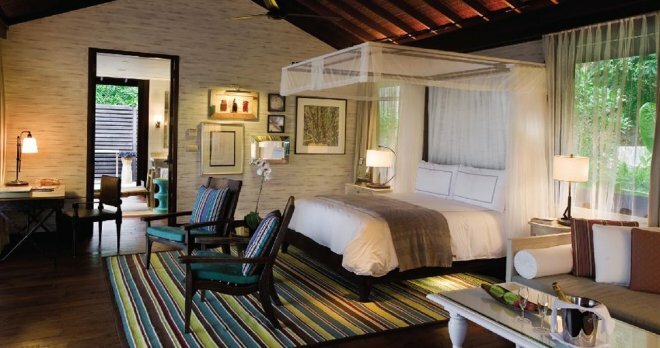 Authentic wooden bungalows are built on the rocks, nested in lush jungle greenery. 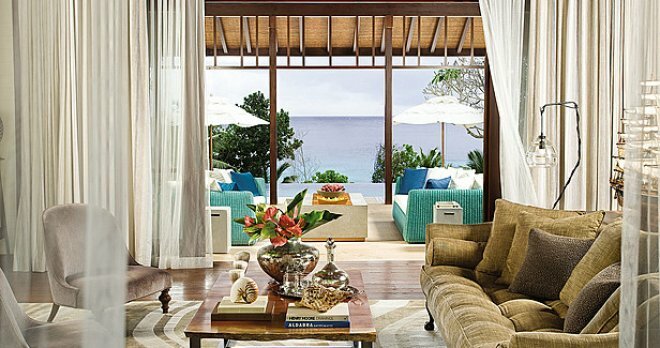 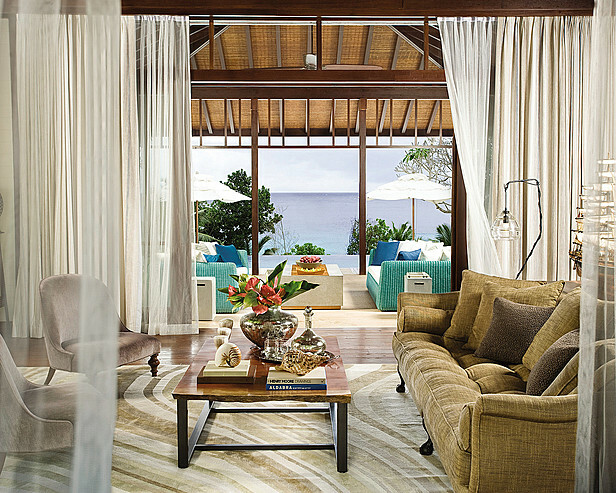 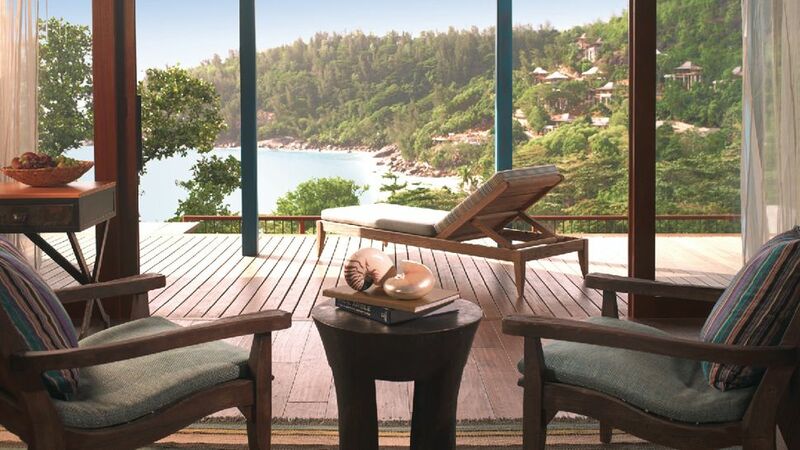 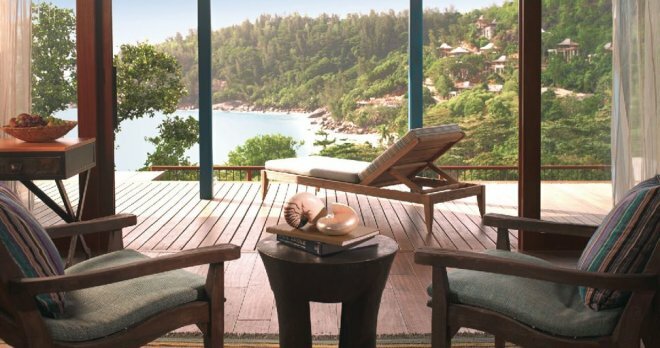 From the windows of the bungalow can be seen the snow-white strip of the beach down there, washed by the clear waters of the warm Indian Ocean. 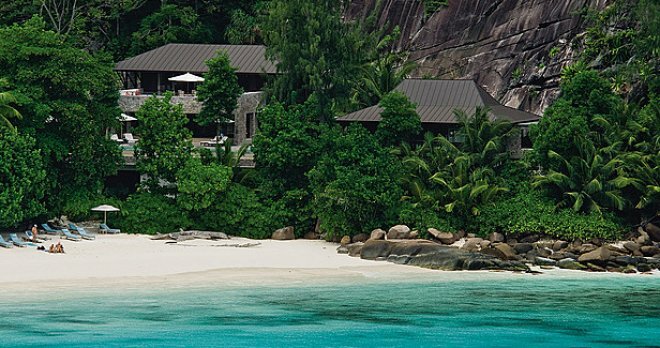 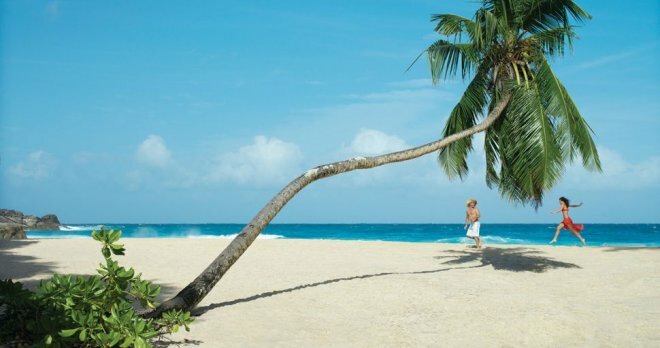 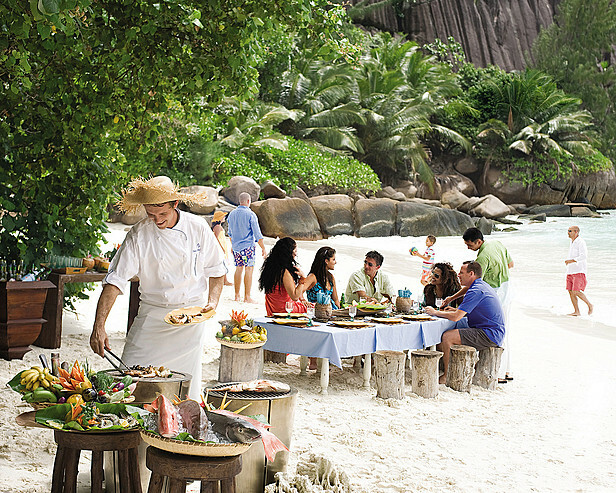 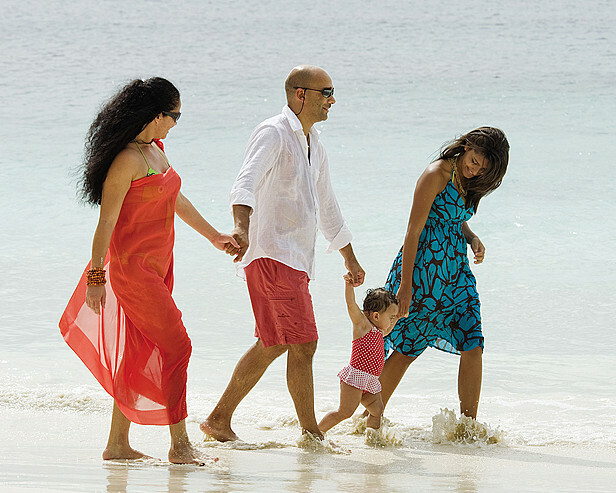 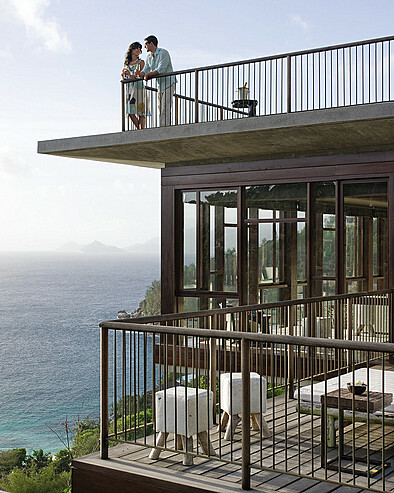 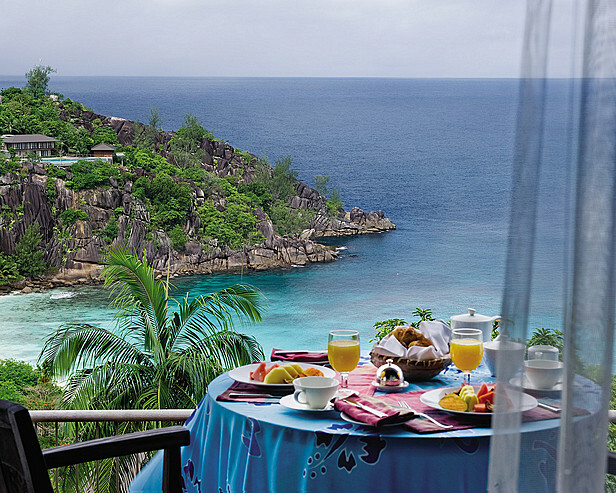 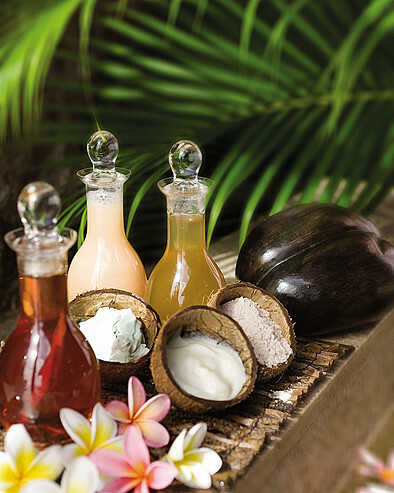 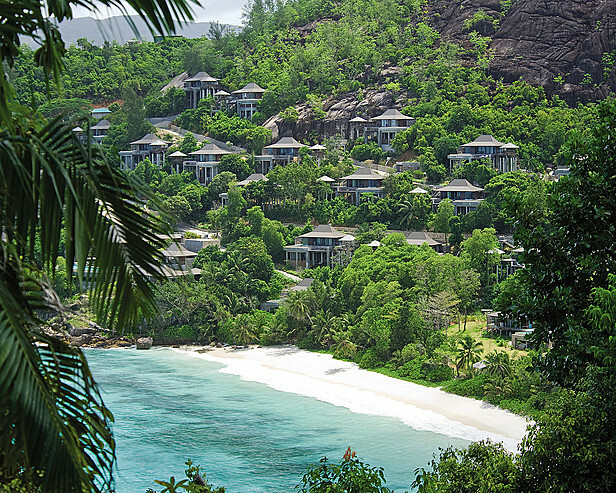 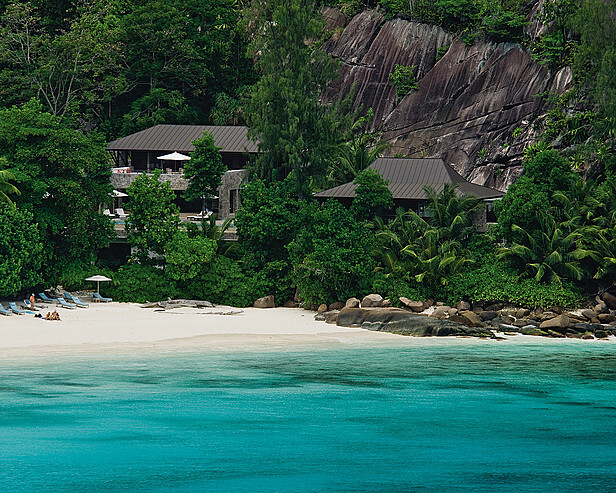 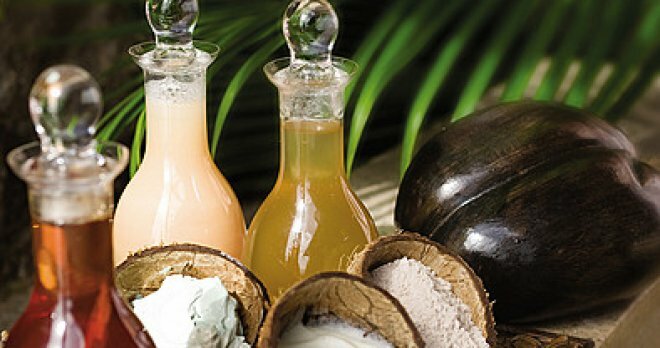 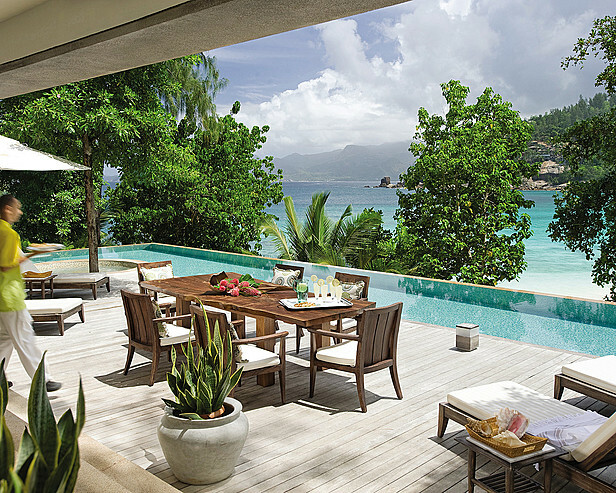 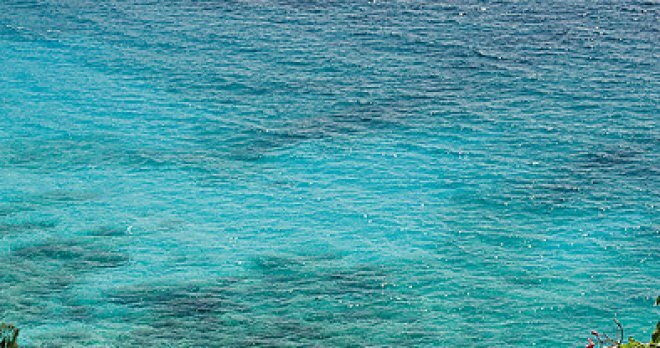 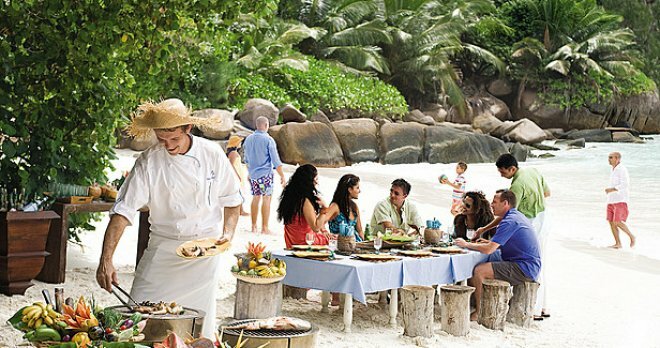 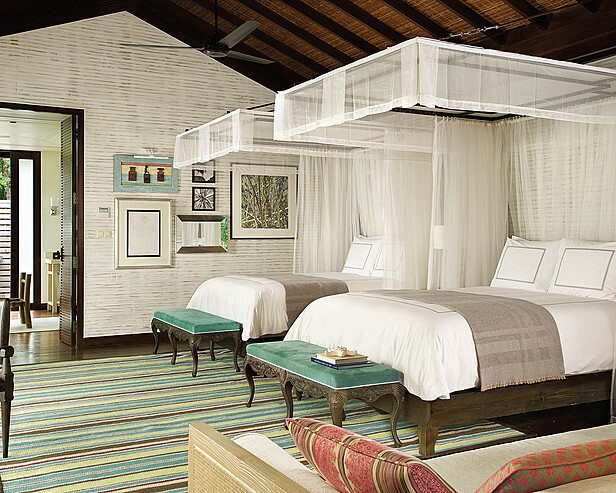 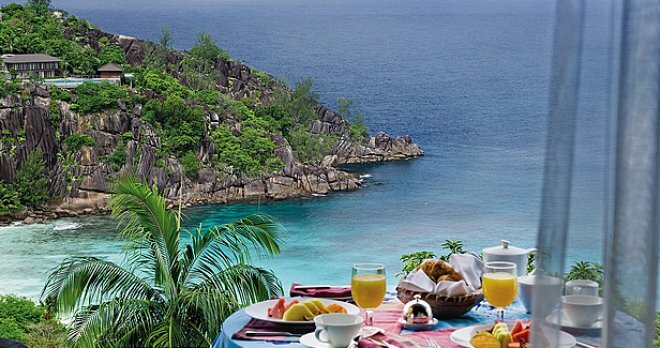 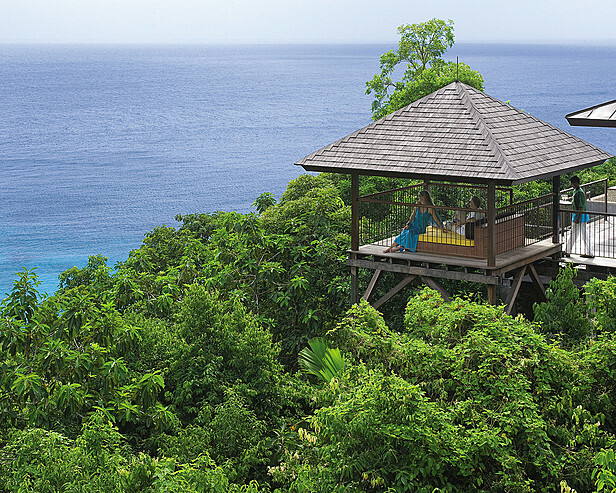 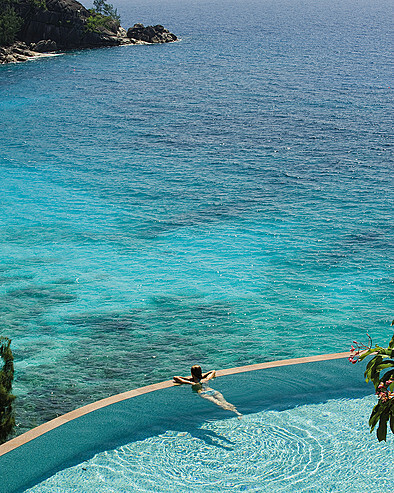 Many come back here, to the Seychelles–holiday spent here is unforgettable. 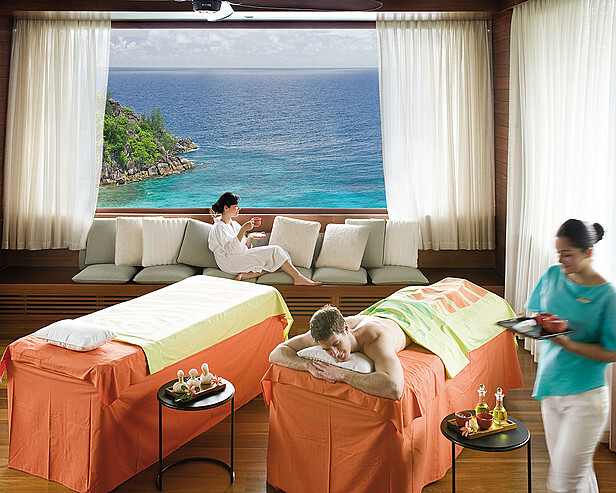 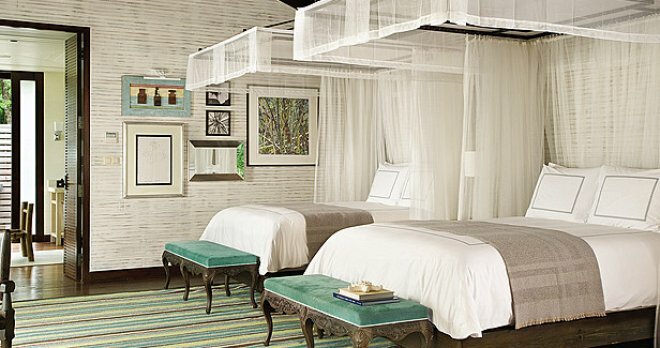 Hoteliers have taken care of the finest details of the holiday and prepared a lot of surprises. 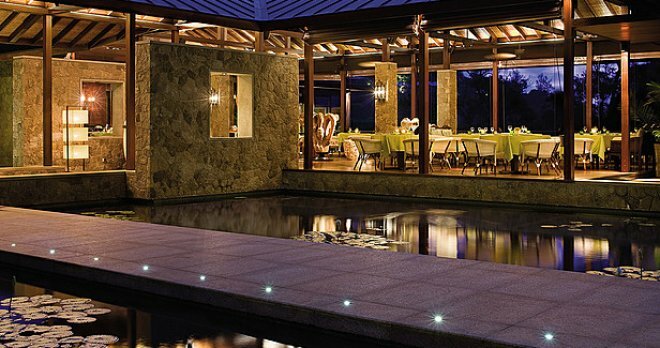 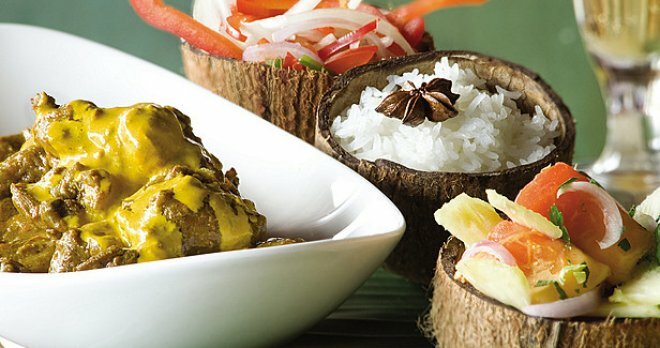 There are several restaurants in the hotel:a restaurant on the beach, a restaurant on the beautiful hill, two bars, two halls for business meetings and wedding parties, yoga hall, a huge outdoor swimming pool with facilities for water sports (kayaking, windsurfing, snorkeling, sailing sports, diving). 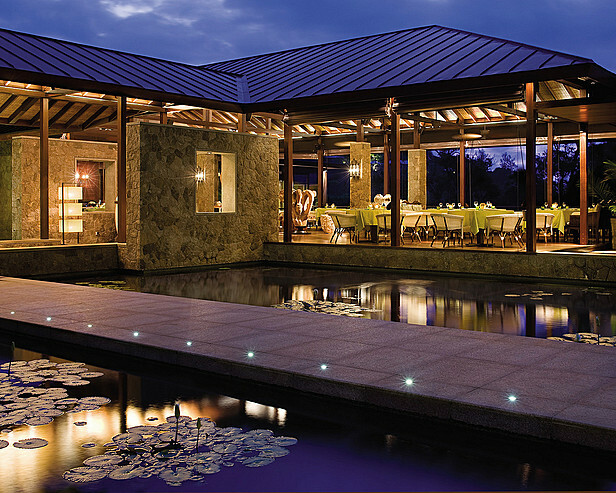 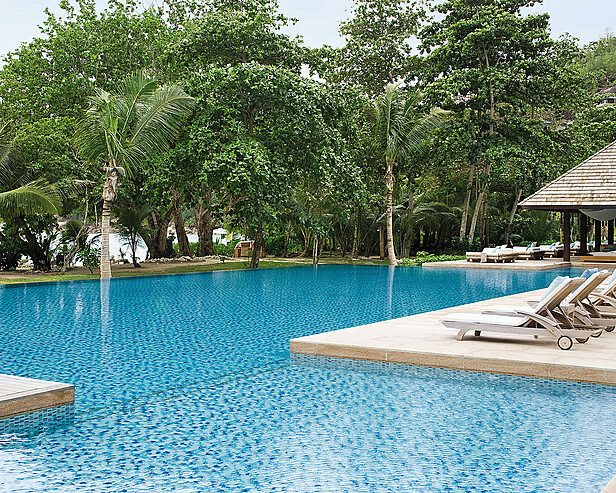 The guests of the hotel can always request to use theLemuria Resort Golf Course.